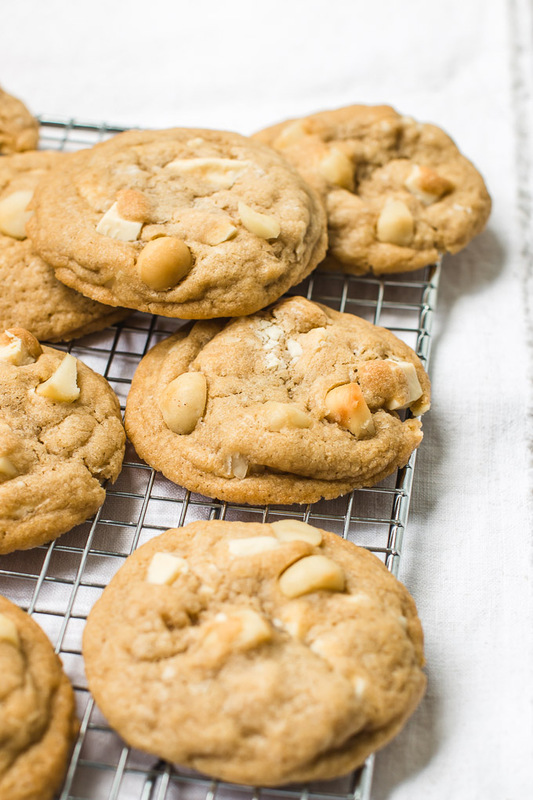 My friends say that these white chocolate macadamia cookies are some of the best cookies they’ve ever had. 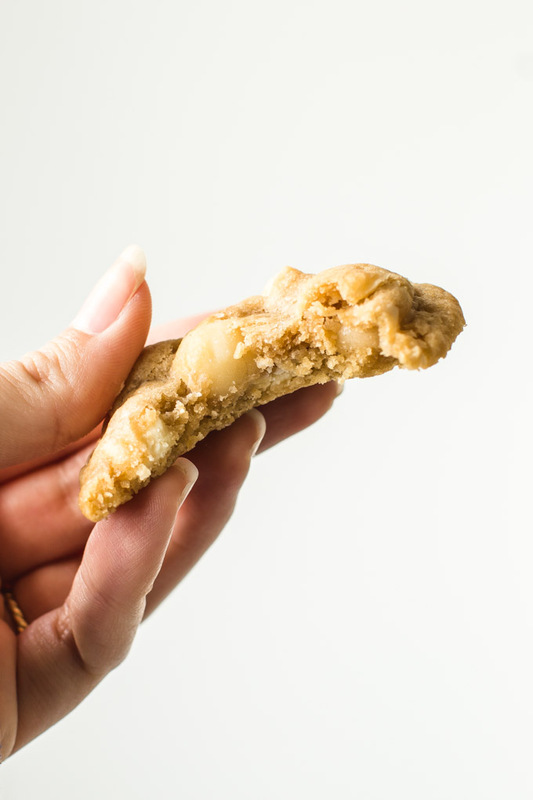 The cookies are super soft with melty chunks of chocolate and crunchy macadamia nuts in every single bite. 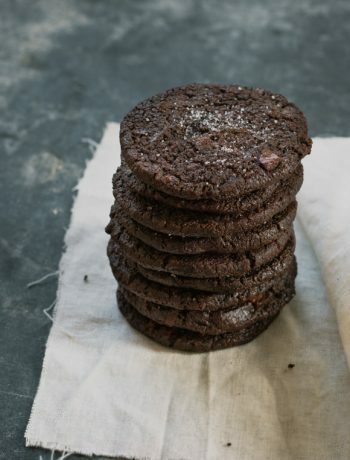 If you slightly underbake them, they will melt in you mouth! Read all my tips on how to make them perfect. I have this thing where I like to sit in front of the oven and watch chocolate chip cookies bake from start to finish. I like to watch the cookie dough slowly melt, and how each cookie gets its own unique shape. I’m totally weird, I know, but for some odd reason it fascinates me. 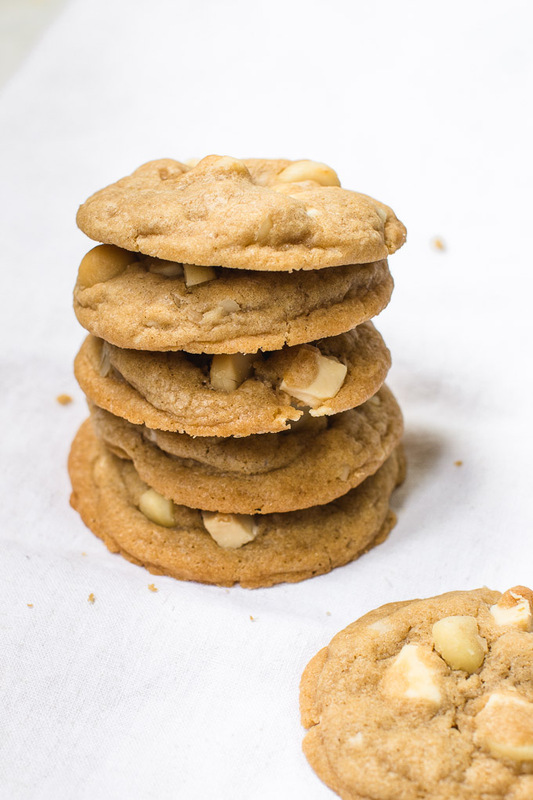 This white chocolate macadamia cookie recipe is amazing. The cookies are on the sweet side, but in the best way possible. The combination of white chocolate and macadamia in cookies has always been a thing, and I’ve loved it ever since I can remember. Macadamia nuts are more expensive than other nuts, so when I was a kid, they were the fancy cookies mom made, and it was my special treat. Do you usually use chocolate chips when making cookies? If the answer is yes, I have a secret to share with you. When I was in London I tried the famous Ben’s Cookies, and it took me a while to figure out why they were so good, but eventually I did! They use large chocolate chunks of high quality chocolate, and in each bite you get a delicious chunky melty chocolate goodness. You can definitely use chocolate chips, but I highly recommend using white chocolate bars for this. I chop the white chocolate to different sizes, some small, and some large pieces. Using white chocolate bars instead of chocolate chips take these cookies to a whole new level! If you like your cookies soft, the secret is to underbake the cookies, and I find that it’s true for almost any cookie dough. If your cookies tend to be hard or crunchy and you prefer them soft, then try to bake them for less time. I use a medium ice cream scoop to measure the cookies evenly, but you can use a heaping tablespoon instead. My cookies were ready in 8-9 minutes. I don’t recommend baking them for more than 10 minutes, unless you make them larger, and then you’ll need to increase the baking time. Take the cookies out of the oven the moment the edges of the cookies just start to get golden in color. That way the center will stay soft. In a mixer bowl fitted with the paddle attachment, beat butter on medium speed for one minute until creamy. Add granulated sugar and brown sugar and beat on medium speed until fluffy, about 3 minutes. Add eggs and vanilla and beat until combined. Add flour mixture and mix just until combined. Do not over mix. Fold in white chocolate and macadamia nuts. I highly recommend chilling the dough for at least 1 hour (or up to 3 days). This step results in thicker cookies that spread less when baked. If you're short in time, skip this step. Preheat oven to 350°F/180°C degrees. Line baking sheets with parchment paper or silicone baking mats. I used 2 large baking sheets, but you might need 3, depending on their size. If the dough was refrigerated for a long time and is hard to handle, leave it on the counter for a few minutes to soften. Drop rounded balls of dough onto prepared baking sheet, the size of 1½ tablespoons each (use an ice-cream scoop or heaping tablespoon). 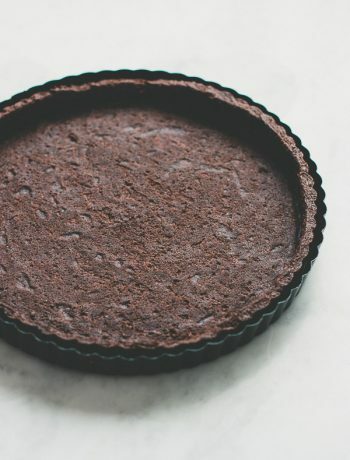 Bake for 8-10 minutes, until cookies just begin to brown at the edges, but the center is still soft. Cookies will appear undone but will continue to bake on the warm baking sheet. Remove baking sheets from oven to a wire rack and leave to cool for 10 minutes or until the cookies are easy to transfer without breaking, then gently transfer cookies to a wire rack to cool completely. Store cookies at room temperature in an airtight container for up to 3 days. 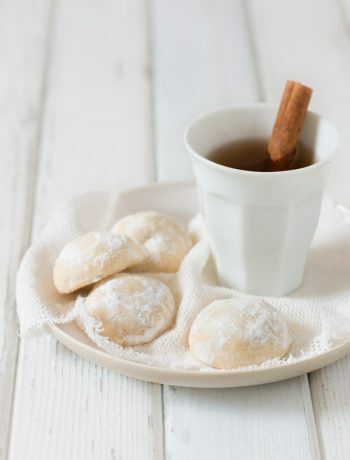 Cookies can be frozen for up to 2 months. how many eggs do we need for this recipe?